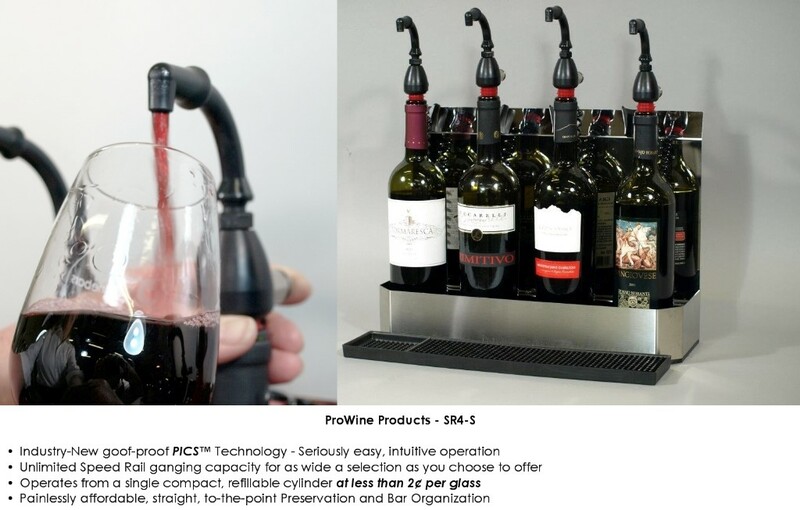 No-hassle wine preservation and dispensing for Bars and Restaurants. 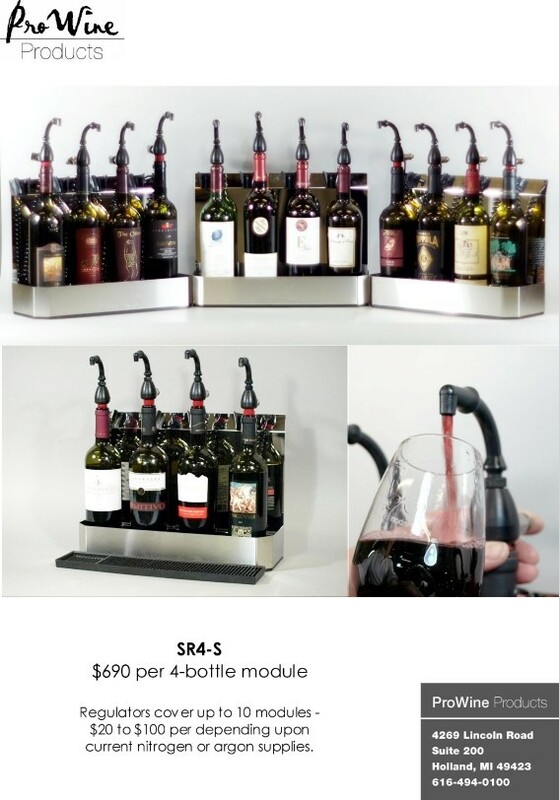 ProWine Products’ limited-release SR4-S polished stainless speed rail modules fit anywhere wine bottles do. No special back bar accommodation, great organizational enhancement, and can be tapped into your existing soda or beer gasses. CALL 616-494-0100 for details and availability. Simplest and fastest commercial wine preservation ever. Now in North Carolina! Call 616-494-0100 to discuss your optimal setup.